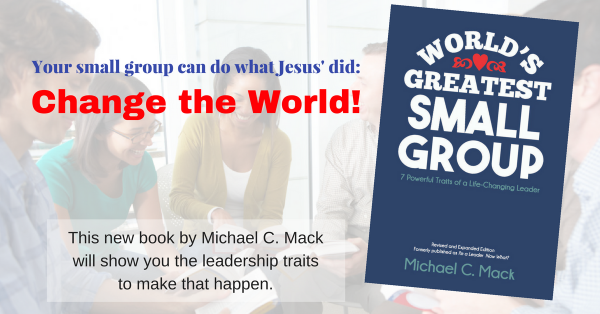 In yesterday’s post, I discussed what you as a leader can do when group members resist making a commitment to grow spiritually. How can you help them grow, and, even first, want to grow, without pushing them, judging them, or being legalistic about it? How can you shepherd them, leading them to the places where they can best drink of the Living Water? The purpose of daily spiritual practices is to enhance and grow our relationship with God. It’s not about the practices themselves. Be careful to focus on the relationship and what practices best help you enhance your grace-based relationship with the Father. Everyone is different, so the practices that build life with the Father will be different for everyone. My son Jordan, when he was young, used to like to sit with me while I read him stories. My son Dru, on the other hand couldn’t sit still that long. His way of relating with me usually centered around tossing baseball or football or shooting baskets. What works best for you and the members of your group? How do they relate best with God? Encourage group members to experiment with practices that work best for them. This is something you could discuss when your group gathers. What have they tried? What worked? What didn’t work so well? What new practices might they try? Beware of blindly following what others tell you is the way you ought to follow the Father. This happens all the time, during sermons, Bible studies, group meetings, and one-on-one discipleship sessions. Well-meaning leaders sometimes prescribe the one way to practice spiritual disciplines, such as using this reading plan or spending 30 minutes in prayer followed by 30 minutes in Bible study, and so forth. Perhaps that worked well for that person, but that doesn’t mean it will work well for you or others. There are two big downsides to this view of spiritual practices: (1) the person struggles with that particular form and eventually gives up on it, and because that form has become equated with developing a closer walk with God, he also gives up on trying to relate with God at all. (2) The person keeps up with the practice even though it’s difficult and bearing little or no fruit in his life. It becomes a legalistic thing to do which he then passes on to others. He lets you know that if you are not doing this one particular practice, suffering through it, you must not be a real Christian. Sound familiar? Try targeting spiritual practices toward a particular weakness or area of growth. When you go to see your doctor for an ailment, he gives you meds for what’s specifically wrong with you; he targets the treatment to the diagnosis. So, if you or a group member is dealing with pride, for instance, what would be a good plan for growing in your faith? Would you prescribe reading the One-Year Bible? No. That may actually exasperate the problem! Instead, perhaps you’d choose to serve or give secretly. Different practices have different values at different parts of your journey. Jordan, who is now 21, no longer likes to sit on my lap and read a book to connect with me. He’d much rather go out for a meal together and talk The way I read the Bible today is totally different than when I was a young Christian. At that time I read the Word in greater quantity in one sitting. I was learning what the Bible was all about and putting the pieces together. Now I tend to read much smaller sections at a time, digging into it more and meditating on verses and even words. A commitment to discipleship is a commitment to know God more intimately, to walk with him, to hear his voice, to trust him and follow wherever he leads you. Make the commitment in your group to helping one another discover what practices will help you know and love God more. Encourage one another. Build each other up. Spur one another on. This post is part of a series on “Commitment and Small Groups.” Read the entire series HERE.